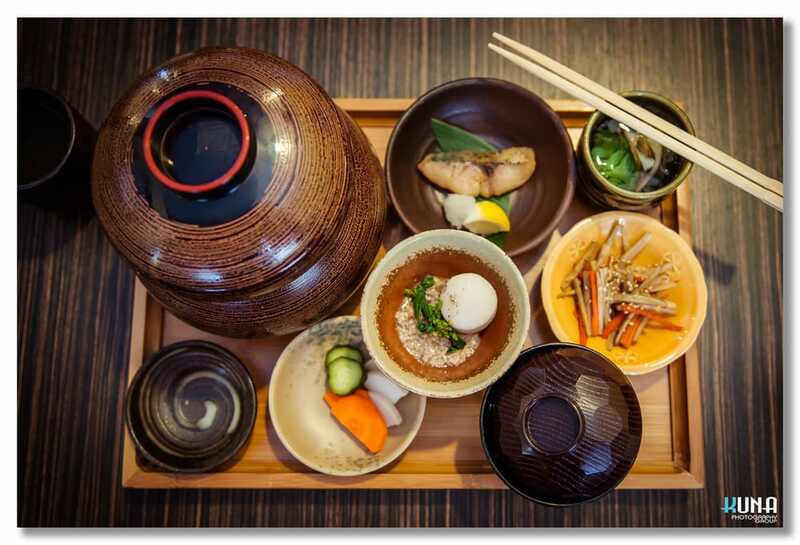 Kiriri’s Kaseki is a traditional multi-course Japanese cuisine. It refers to the collections of skills & techniques. First glance of this wonderful course. It is really amazing with its value and presentation. The bowl on the upper left corner is a three layer container, shaped as gourd. Kaseki definitely is a great lunch choice. 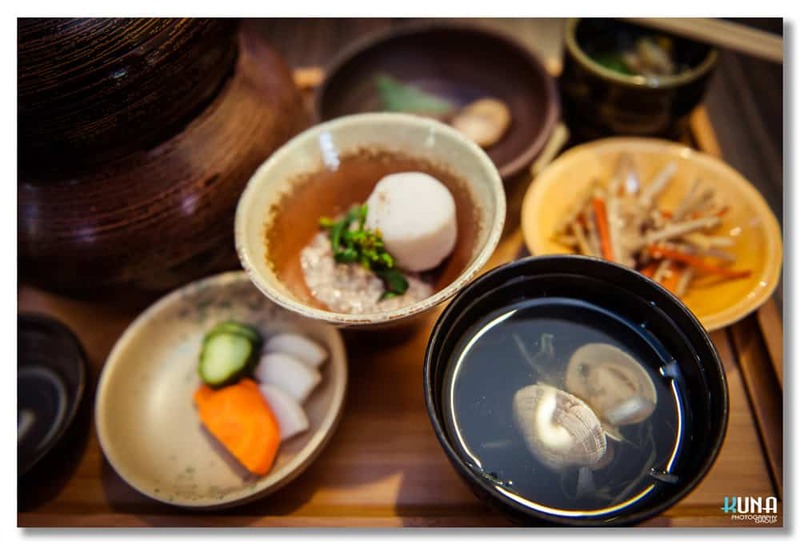 The course includes Sashimi, Clear Soup (sake clam soup*), Appetizer, Sunomono, Kobachi, Grilled Fish, Deep Fried or Simmered Dish, Sushi, Pickles, Sweets. It is really hard to decide on what goes for my first bite. Everything really opens up my appetizer and stimulate my palate like I am in heaven. A yummy small taro with vegetable and light meat sauce. 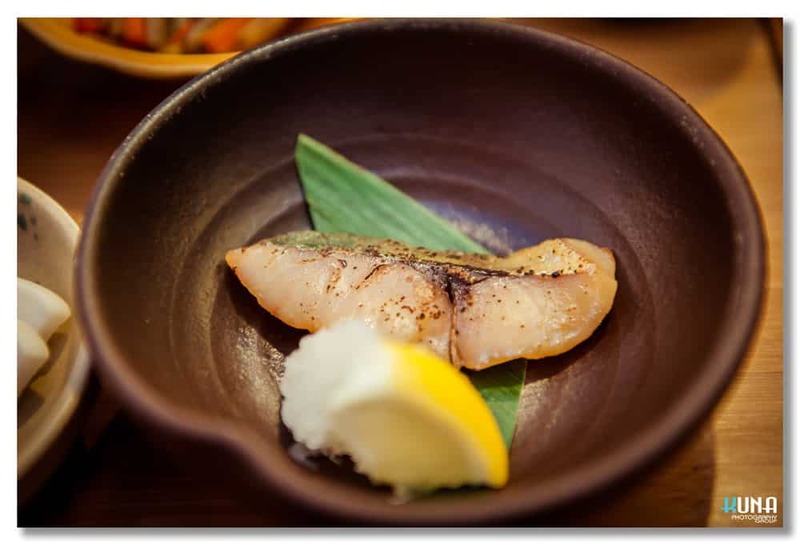 A BBQ light miso marinated fish with white radish mud and lemon to naturalize the fish oily and add a little fresh aroma. Sashimi offered by Kiriri is one of neatest piece I ever had. 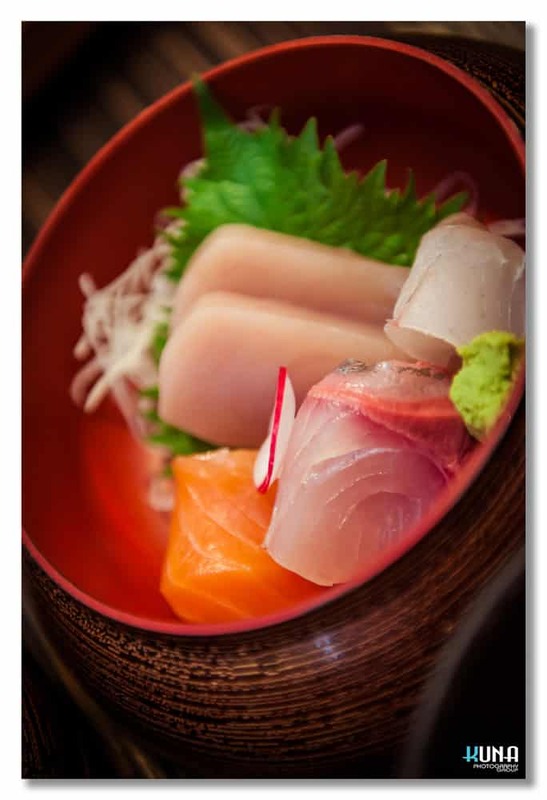 The edge of every sashimi piece were trimmed by chef’s excellent knife skill during the preparation. 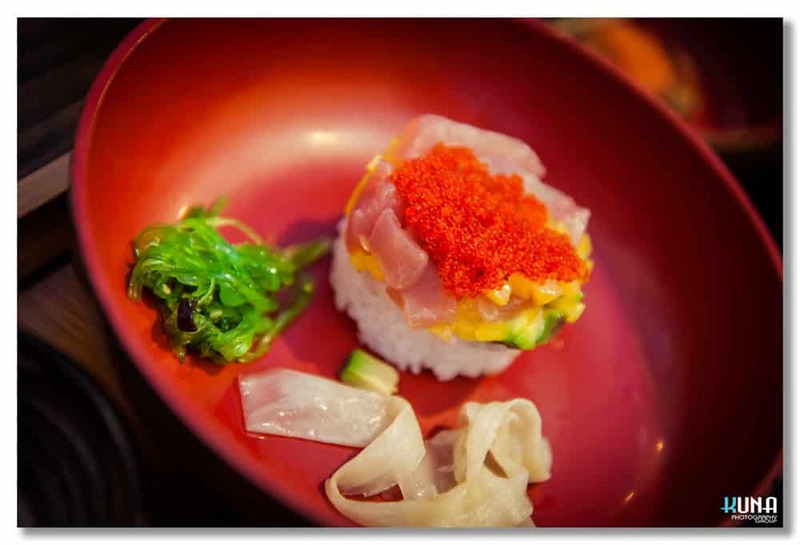 Specialty sushi designed by chef of Kiriri Japanese Cuisine & Sushi Bar. Lucky to have a chance to taste this art piece. Delegate course with fish rod, mango, tuna fish, avocado and fish rice. Side with seaweed and Japanese ginger. This dish will be modified depending on the season and chef choice. 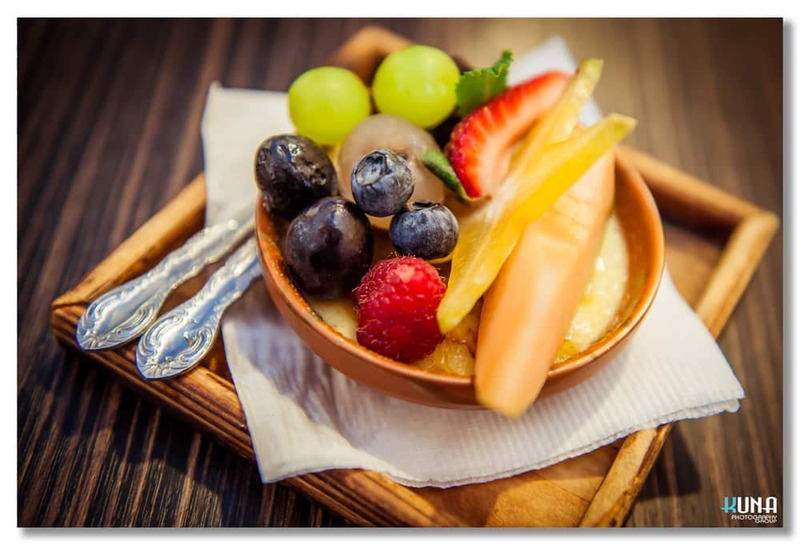 Sesame Crème Brûlée topping with mix fresh fruits. Certainly is a best finish for completed this spectacular Kiriri Kaiseki set. This unbelievable meal course only cost me $23 CAD during the lunch time. 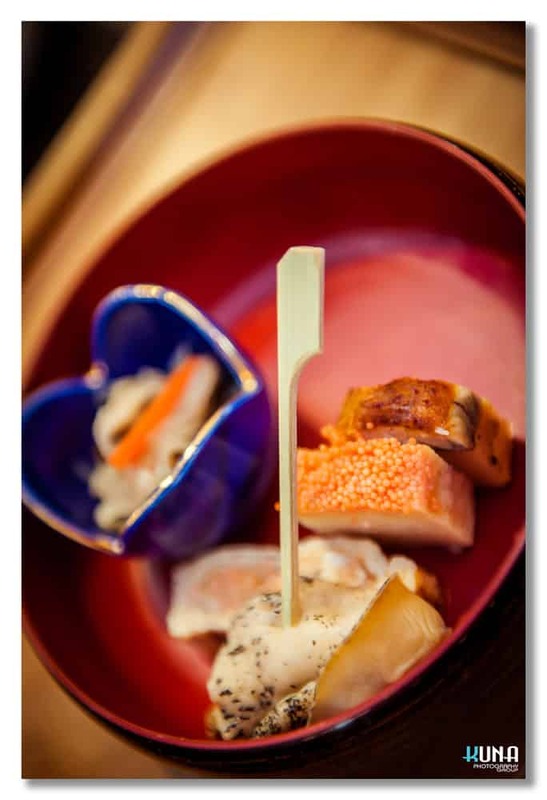 It is definitely is a treasure for VanCity who is interested to taste out true Japanese fine dining. 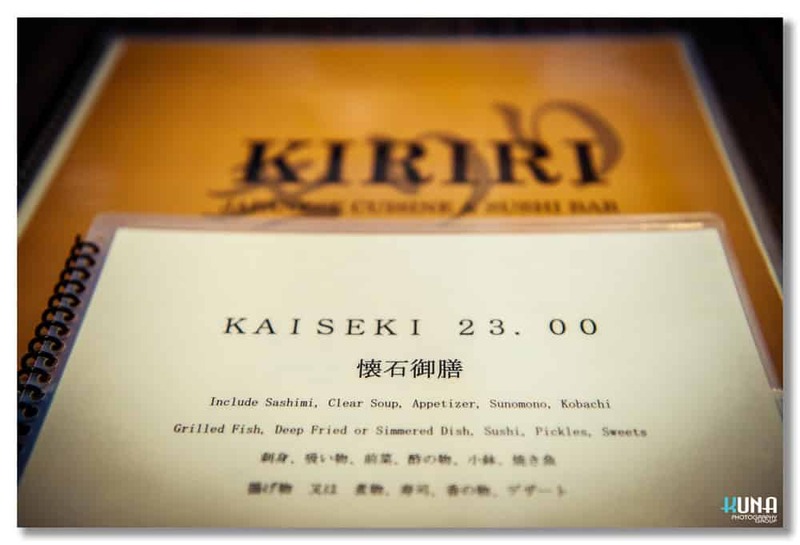 Kiriri is a simple Japanese Restaurant hided in Richmond, located at Blundell Rd + Garden City (Westside); right next to the post office. There isn’t any extra, including pictures on the menu, fancy interior or decor, They only focus on quality, devoted their time on the food and service. 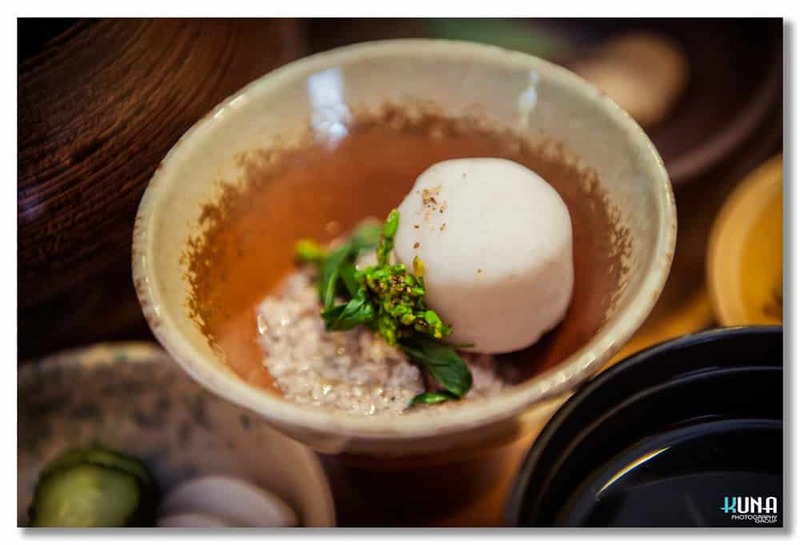 Not only fine delicious cuisine can be enjoyed here, experiencing the true Japanese profession is a magnificent joy. I love this restaurant so much because I always feel this unexplainable happiness after dining there. They made me understanding a abstract meaning of chef’s love and effort; an exaggerated description only exist in manga and TV drama. This restaurant truly in no.1 place inside my heart.